We love the way the sun lights up the desert landscape. 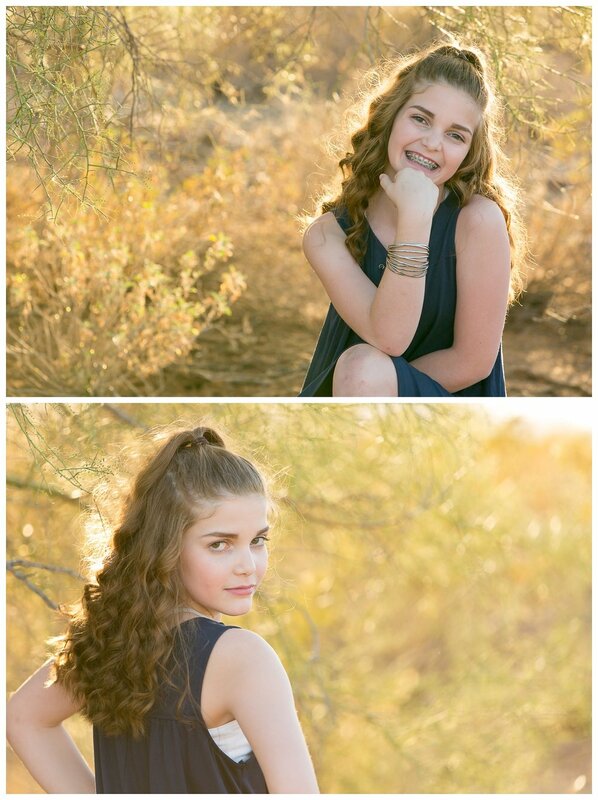 It makes everything glow with golden light that makes our photographer hearts sing for joy! 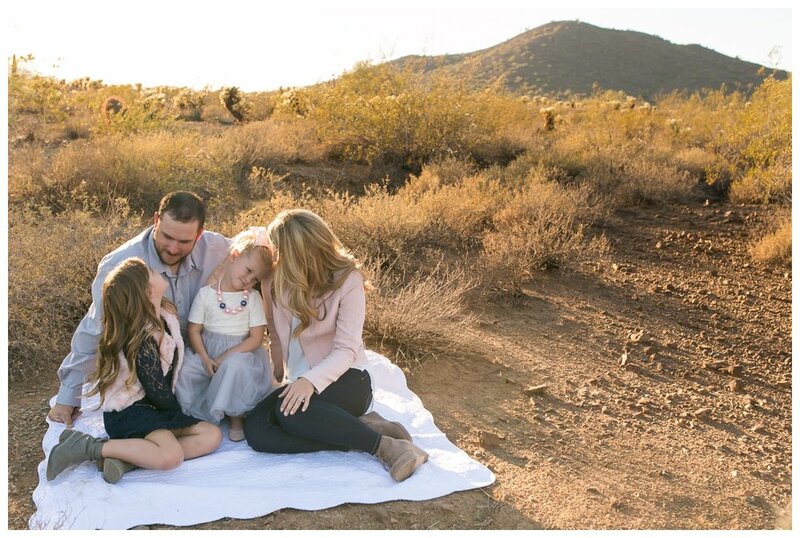 It's even more awesome when we get to do a beautiful desert landscape family photography session in that gorgeous golden light! 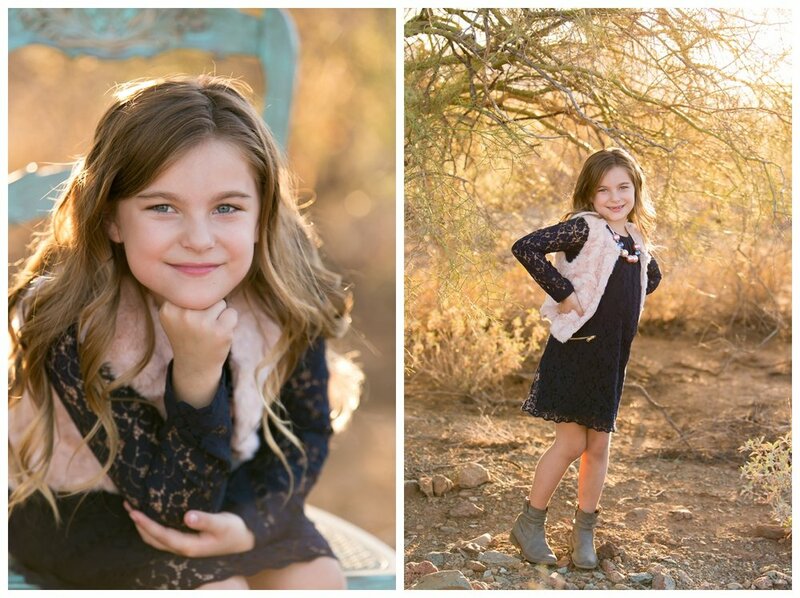 When I showed this Mama her photos she said, "I wish we could all walk around with the desert glow on us all day!" AMEN! We were so inspired by Mom and Dad and their love for each other. We got to have a few giggles with their littlest lady...she was such a crack up. She kept us all laughing with her all her silly faces! Their oldest was an absolute doll. 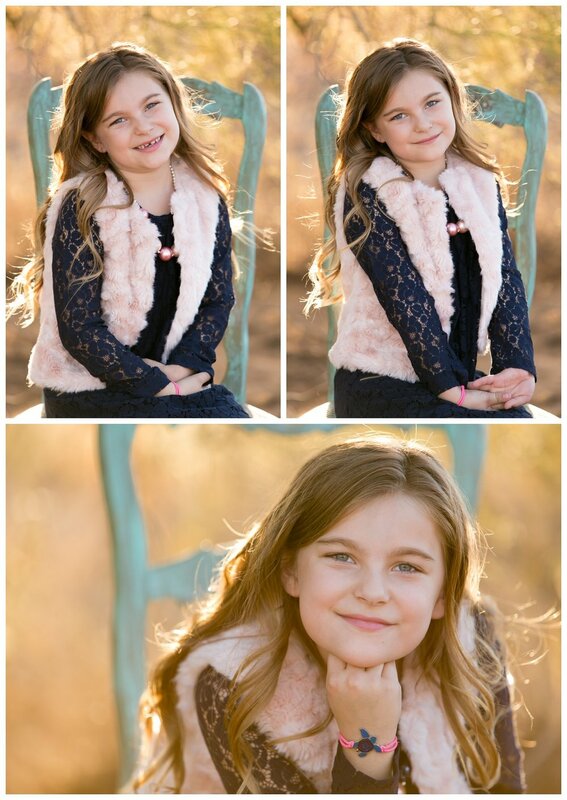 She was absolutely fabulous in her adorable fluffy pink vest and definitely knew how to strike a pose! We even caught some sister sass on camera too! 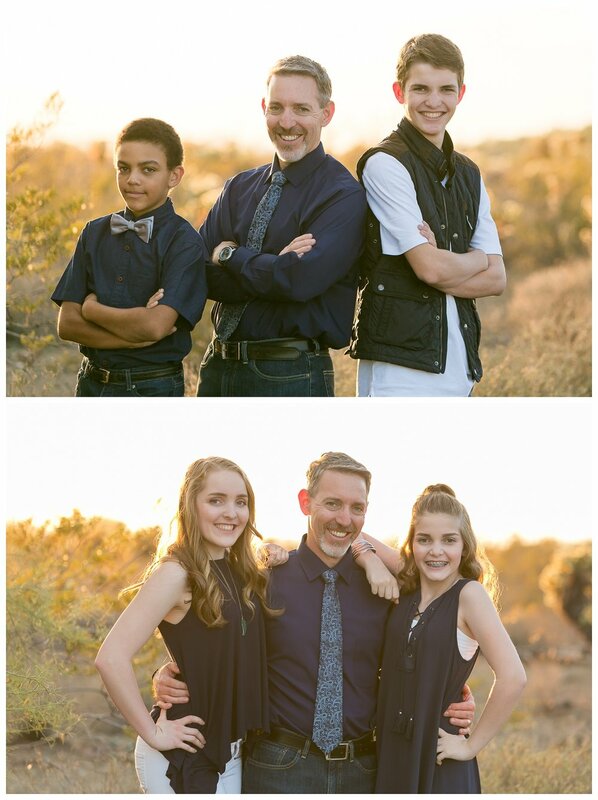 Family photography is so important because families are what keep us connected. This special family was so beautiful inside and out and we were honored to be able to photograph that beauty and capture it on camera. They were so relaxed, easy going, and seriously made our jobs one thousand times easier! Thank you Messner family! 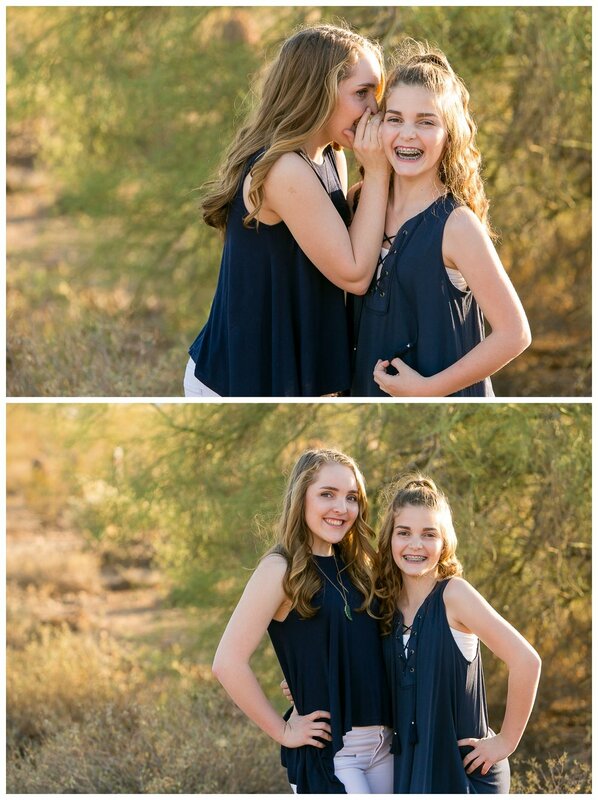 You guys were such a joy and delight to photograph and we can't wait to do it again soon! Happy pre-Halloween weekend! We aren't gonna lie...we kinda almost forgot Halloween this year. Mostly because well...parent mush brain? Does that work as an excuse?! If not, it does now so deal with it people! Thankfully, Walmart saved the day with a ridiculous assortment of licensed character costumes! Nothing says FUN! like dressing up in clothing made out of cheap plastic table cloth material for an hour or so and coming home with enough candy to send an elephant into a diabetic coma! We can't wait! With Halloween comes Halloween parties at school! Megan (bravely) volunteered to help chaperone Olivia's First Grade Halloween Spooktacular. They had tons of fun playing games, doing Halloween word searches, and eating way too much sugar! It was an awesome time to get some "girl time" together, meet Olivia's school friends and teachers, and have a blast! We also had Parent/Teacher conferences this week. Duh, duh, duuuuuh... (cue intense music). Ok they weren't that bad, but because this was our first time EVER doing them, we didn't really know what to expect. All we really knew about Parent/Teachers conferences is what we remembered as kids...which is basically these were a special time for parents and teachers to get together and conspire about how to make your elementary school life completely miserable for the remaining 6 months of the school year. You can understand our shock when, in actuality, this was NOT how these little meetings went. To our complete surprise, their teachers were totally normal, awesome people who love our kids and know all their little personality quirks ALREADY! We brought each of them a little package of Megan's (soon to be) World Famous Chocolate Chip Cookies because bribery never hurt anyone, right?! It was interesting to see the whole experience as a parent and we are proud to say, the kids are doing pretty awesome in school! However, we can't guarantee we didn't conspire just a little bit with their teachers to make their lives a little bit miserable. ;-) After all, that's part of any healthy childhood right?! Finally, we had one of our first ever Premier Nights this week! We had so much fun with the Ward Family! It truly is one of the most rewarding parts of what we do when we get to sit down with a family and do their image reveal. 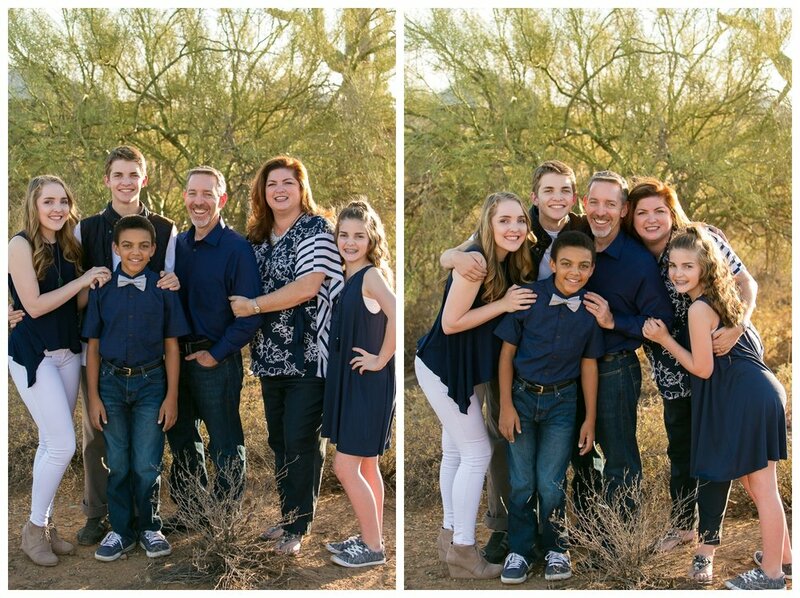 We really want this to be a special moment for each and every family we photograph. 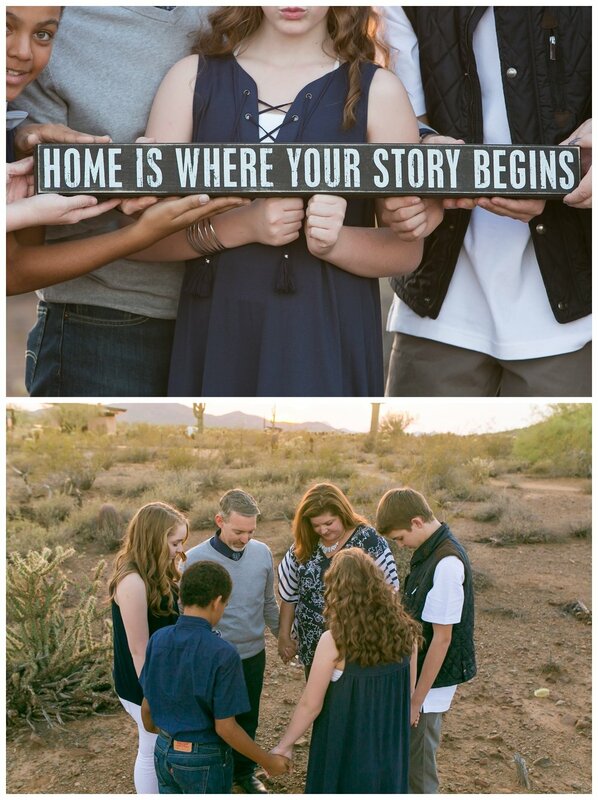 We love hearing their reactions, seeing the tears of joy, and helping them use their images to turn their house into a home! It really was a special time, and we are so glad they loved their photos...but we're even more glad that we got to hang out with them, get to know them, and help them celebrate their beautiful family! 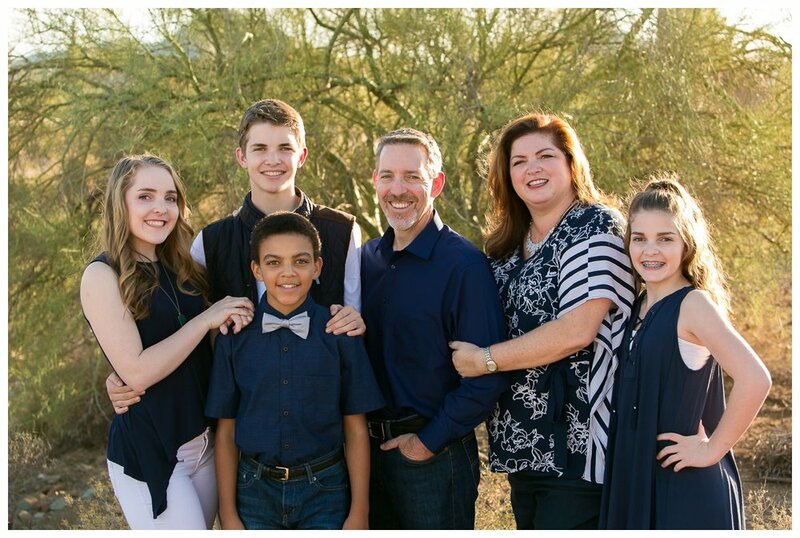 If you'd like more information about what we do, or what our Premier Night is all about, go ahead and contact us and we'd love to share our vision for photography, family, and how you can use your photographs to showcase your beautiful family! Have a safe and happy Halloween weekend everyone! We'll catch y'all again on Monday!